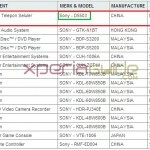 Just after a day when we saw Xperia Z1S photo snapped beside with Xperia Z1 from a Digi-Wo user, a new speculation has come up whether Sony D5503 will be called as Xperia Z1S or not. 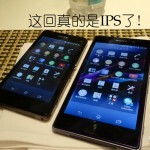 The moment when Xperia Z1F saw it’s release in Japan, rumors started about the existence of Xperia Z1S, international version of Xperia Z1F. 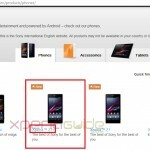 A new user on Digi-Wo has posted a fresh pic of Xperia Z1S snapped on top of Xperia Z1, comparing their size but the annotations reads “It is called Xperia Amami right, DoCoMo version Xperia Z1F as SO-02F right, but not Z1S for now“. 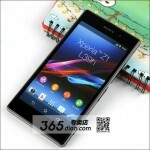 Rumor says Chinese version of Xperia Z1S will come as Sony M55H. 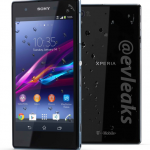 Check the pic below yourself of Xperia Z1S on top of Xperia Z1. 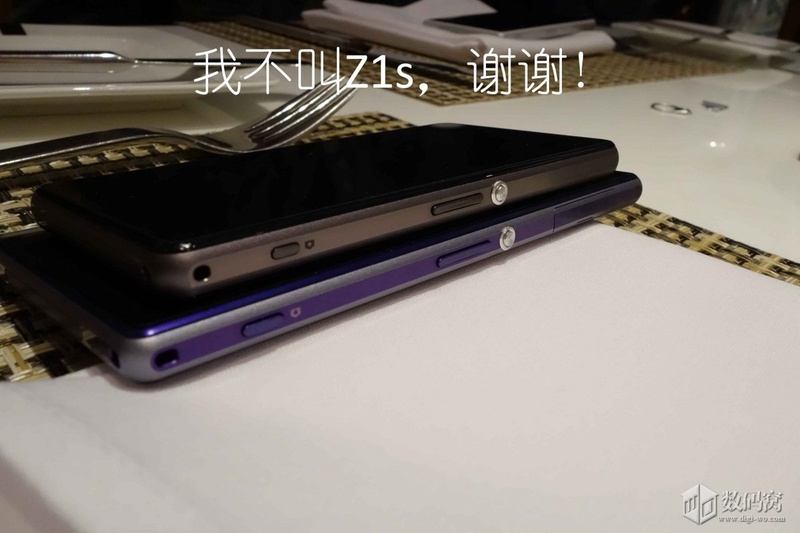 How we can say the below handset is not Xperia Z1F, well look at this another pic of Xperia Z1S with Xperia Z1, it shares some surroundings of spoon, fork and table cloth as it is. 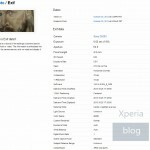 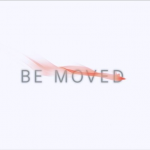 Are all these a user’s speculation ? 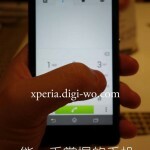 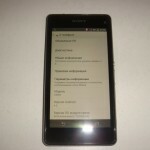 A lot ago we saw EvLeaks leaking a pic of Xperia Z1 mini version, naming it as Xperia Z1S. 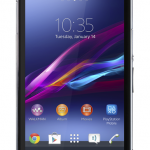 Well nothing more than that has come up for the existence of Xperia Z1S yet.